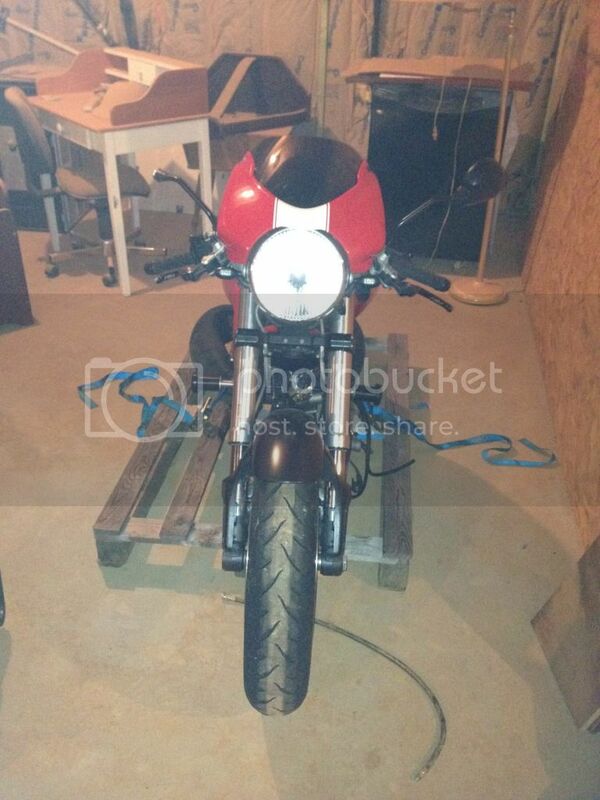 I have found a 2007 Ducati Monster S4R that needs an engine. \r\nIt is pretty much laid out in pieces right now. 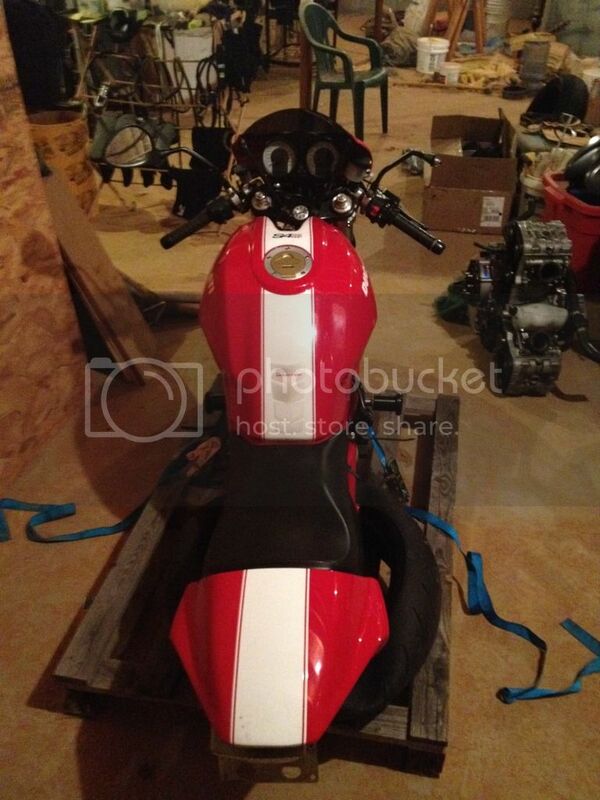 I am trying to decide if it is worth it as a project bike to make a little side cash. 2k gets the pieces and it has a few upgrades. You could probably break even by parting it out. 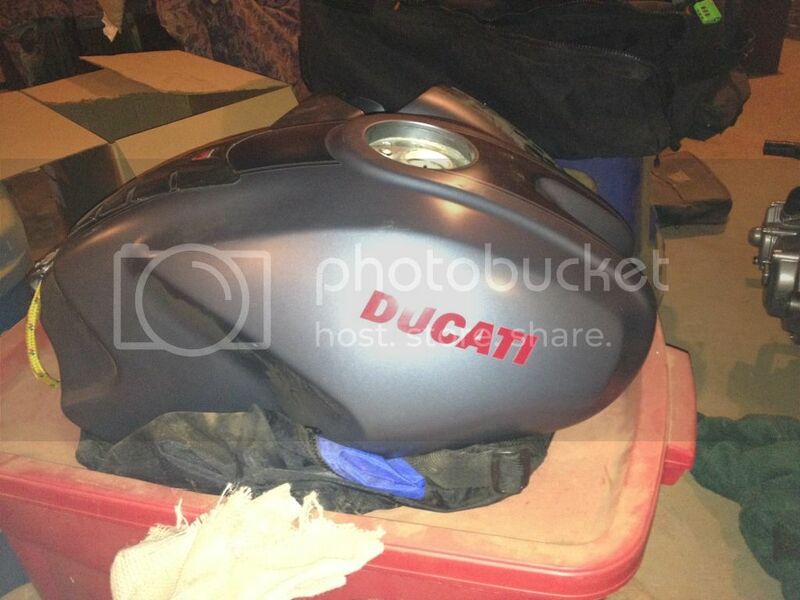 \r\nI don\'t have any experience with Ducatis. I have a little car experience, and some Yamaha and Kawasaki experience. \r\nI am pretty handy and mechanically inclined, but I was wondering if I am biting if more than I care to chew. 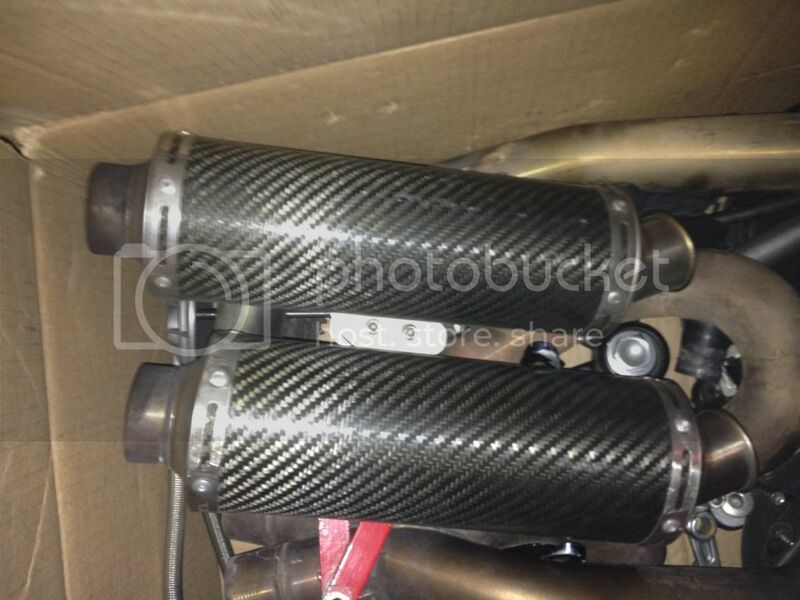 s4r is basically a 996 4 valve, liquid cooled motor. Maybe expensive to find a replacement motor and very expensive to rebuild, dpending on what\'s wrong. sounds a bit overpriced unles its the S4RS. I ended up getting it a good bit cheaper. The guy thinks a clip broke on a valve and it dropped into the cylinder, but he isn\'t sure if it went all the way in. \r\nA piece of that clip made it to the oil pump and caused the pump to go bad. \r\nI am hoping I can get the engine running again. If not, I can either part it out or buy a used engine for about 2k. \r\nIt has some nice upgrades. Penske rear, Cogent Dynamics forks with fresh ohlins springs. Two complete sets of body work. Cosmetics are pretty good. 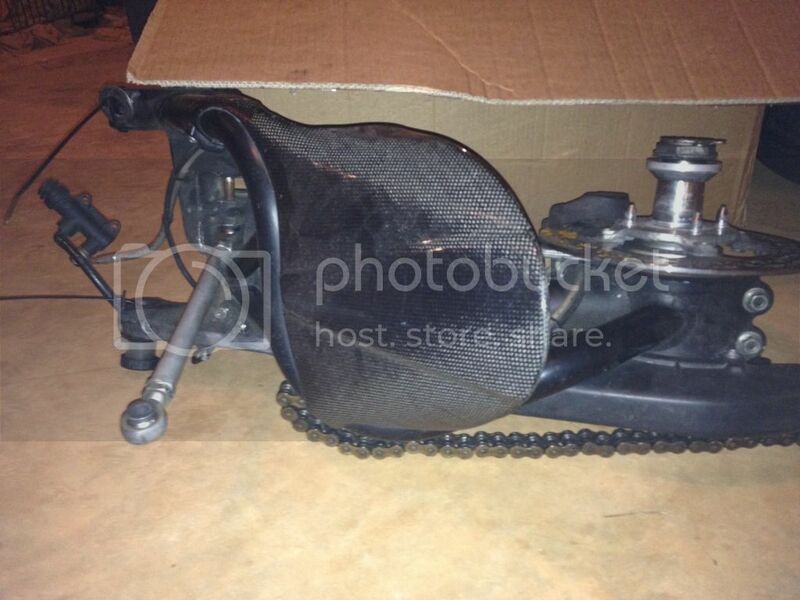 A few carbon fiber pieces. \r\nI\'m kind of pumped about my first project bike. I just hope it isn\'t more than I can handle! \r\nI\'ll try to post some pics up. \r\nIt is the S4R, but it has S4RS bodywork currently installed. \r\nFrom what I have read it seems that suspension is the difference between the two models. This one has upgraded suspension, so it should be pretty comparable. 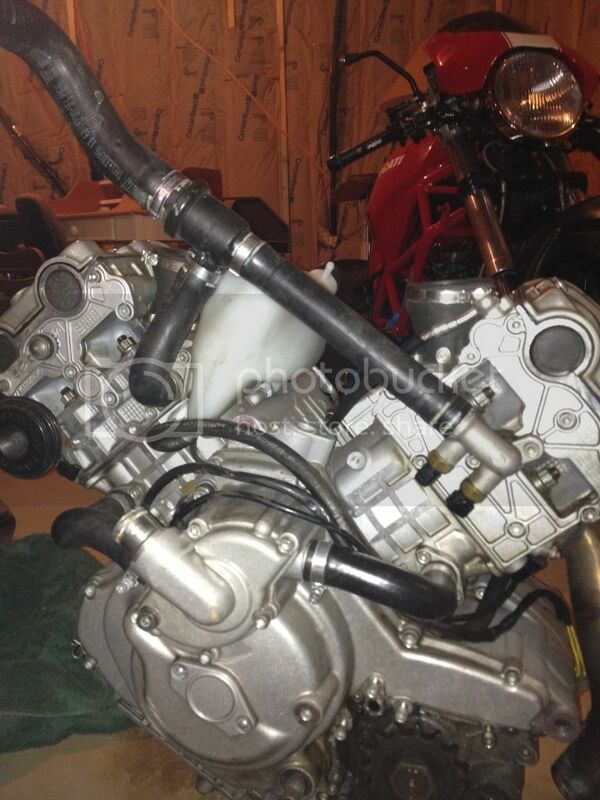 So he said the oil pump is bad, but the curious thing is it ran up until it was taken apart by the Ducati mechanic. The mechanic found a piece or metal in the oil pump. He said he wasn\'t sure, but it looked like it could be a piece of a valve clip. \r\nThe PO said while it did run one of the cylinders made a bad clanking sound. The Ducati mechanic said it could be that a valve has dropped down into the cylinder. He said if it went all the way in the engine will be shot, but if it is just bouncing in and out on the piston head it may be repairable. He said the valves are fairly soft and the pistons fairly hard. It would be awesome if it is repairable. I wouldn\'t have thought twice about buying it at his asking price. 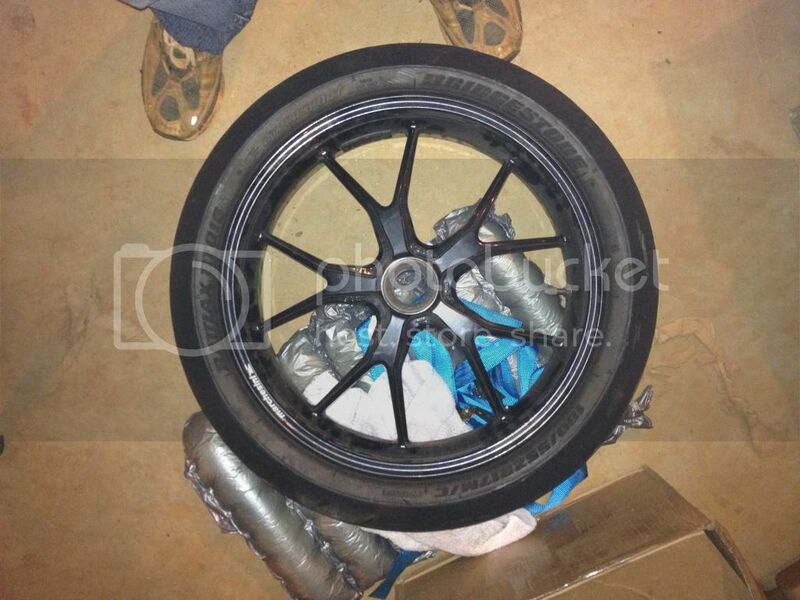 You can get $700-$900 just for the bare wheels. 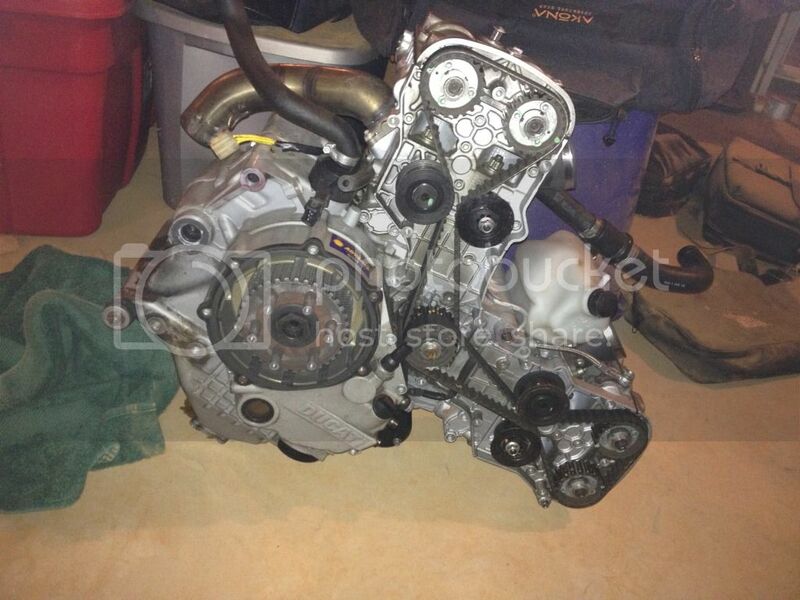 \r\nI\'ve seen engines on eBay for $800-$1200. The engine is a Testastretta, so you can probably stuff a 749 or 999 engine into it. 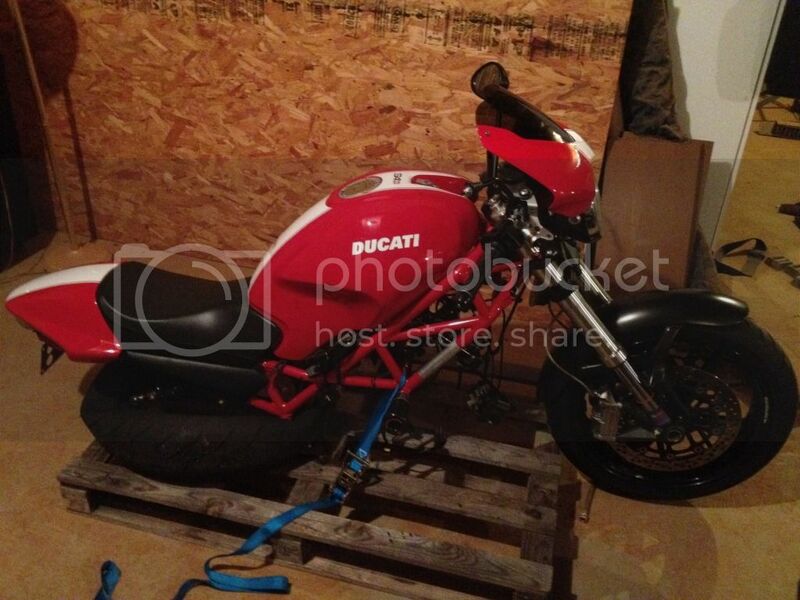 I saw a guy selling a 749 engine on a Ducati forum for $450 a week or two ago. He did a 999 engine swap. (Edit - You would have to research the 749/999 engines to make sure they are a direct swap. I do not know, but they could have differences in mounting boss widths or spacings and there may be a difference between swingarm mounting bosses - I do know the swingarm engine bosses are narrower on the 748/916/996 than they are on the ST2/ST4/ST4S, but that is also the difference between single-sided and double-sided swingarms). \r\nIf it were my project, I\'d watch for a good deal on a 1000 or 1100 2V air-cooled engine for it...just to be different. \r\nMy Dad and I took a look at the engine on labor day. The heads and valves looked great. We pulled the sump screen out and there was a lot of metal. Probably a little over a teaspoon and some flakes were fairly large. I saw black, silver, and copper colored metal mixed in. We figured there wasn\'t much use to trying to fix that engine. \r\nI posted a feeler for a part out on the Monster forum and I think I will come out better to part it out than put it back together. I am still a bit disappointed. I kind of wanted to put it back together and ride it some.